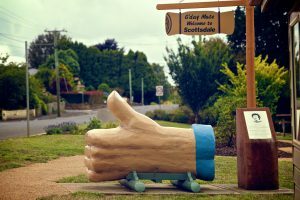 Scottsdale is the largest town between Launceston and Tasmania's East Coast and has a rich agricultural and forestry history. On Tasmania’s northeast coast, you will find Scottsdale, the largest township between Hobart and Launceston, planted on Tassie’s rich soil, with an abundant forestry and agricultural history dating back to the 1850's. It lies on the Tasman Highway, around 63 kilometres northeast of Launceston and 22 km southeast of the coastal town of Bridport. This quaint and charming town overlooks the blue mountains and rolling hillsides that surround it, where poppies, potatoes and forestry blooms. Scottsdale has a mild climate with warm summers and cool, wet winters. Scottsdale consists of a web of streets around two major avenues, King Street (Tasman Highway) and George Street/Tasman Highway or "Ringarooma Road" (Bridport Road). The main shopping area is located around King Street and Victoria Street. 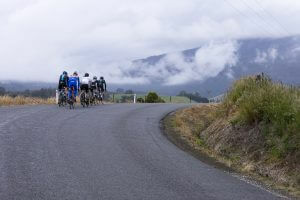 Image thanks to: Tourism Tasmania & Supplied Courtesy of Flow Mountain Bike. James Reid Scott, who first surveyed the area in 1855 and inspired the town’s name, described the soil as ‘the best on the island, well watered, with a mild climate’. Whilst hops once fueled the economy, the area is now a major agricultural center where potato farming, eucalyptus and pine plantations, dairy farming, mining and poppy cultivation take place. Ellesmere is the original Scottsdale where the first settlement was built, located now on the northern outskirts of the town. Scottsdale’s old-school charm resonates through the architecture and heritage buildings. The old 1880’s built post office is now home to the town’s folk museum and Anabel’s on Kings Street, which was originally built in the 1890’s and has been repurposed as a restaurant and motel with cottage style gardens blooming with wisteria, rhododendrons and camellias in the spring. There are several options for the outdoorsy types. A 26km mountain bike trail follows the abandoned railway line between Scottsdale and Billycock Hill as it winds through industrial sites, valley lookouts, forests and pastured farmland. The Scottsdale rail station provides a useful map and trail notes for those open to exploring the environment on wheels. Image thanks to: Tourism Tasmania and Heath Holden. For the golfing enthusiasts, take a 20 minutes road trip out of Scottsdale to Barnbougle Dunes and Lost Farm Golf Links for a memorable day of golf on either of these iconic courses. Alternatively, venture 15km West of Scottsdale in December and January and you’ll find the world famous Bridestowe Estate Lavender Farm coated in a thick purple blanket of bloomage. For those in the mood for a nice, long walk, venture from Northeast Park to Mount Stronach for stunning panoramic views of the farm and town. It should take approximately 2.5 hours. 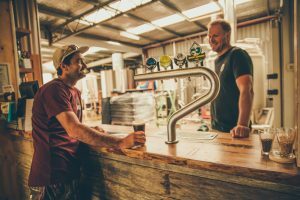 Visit the local brewery cellar door for some brew. 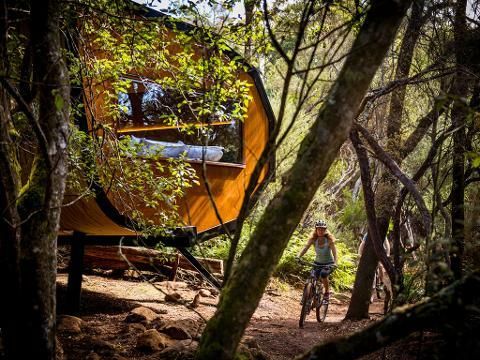 Image thanks to: Flow Mountain Bike. Northeast Park is a popular facility in the town, and provides seven days free camping, barbecues and coin-operated hot showers for those passing through the region. Northeast Park has had recent upgrades, with community support helping to improve the park. 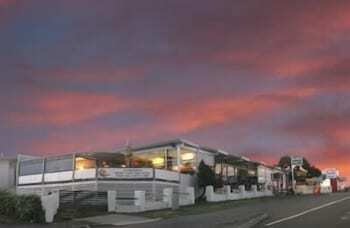 B&Bs and budget accommodations are also available in town and in nearby Bridport. Several cafes, bakeries, and bistros are spotted throughout the town. Several vegetarian options exist alongside restaurants with traditional fare.